Preventing the flu is reason enough to get an annual vaccine, but a research study this year also suggests that flu shots can help prevent heart attacks and stroke as well. A research team from the University of Toronto examined close to 20,000 patients testing positive for the flu and published findings in the New England Journal of Medicine that link the infection with heart attacks. “The researchers found that people are six times more likely to have a heart attack within a week of being infected with the flu virus,” says Dr. Waseem Chaudhry of the Hartford HealthCare Heart & Vascular Institute. This, Dr. Chaudhry says, is because the flu causes inflammation that may alter plaque built-up in the lining of the arteries from stable into unstable, causing a cardiac event. Heart attack or stroke can also be another side effect of being in a weakened physical state from the flu. “When you have the flu, your blood pressure could drop and your heart race, which can strain the heart,” he says. Other studies have shown the benefits of flu shots on heart health. Researchers in Taiwan combed the medical records of 80,000 elderly patients over 13 years to conclude that the flu shot reduces the risk of heart attack by 20 percent. A British team at The George Institute for Global Health culled the records of 59,202 heart failure patients to find that those who got a flu shot were 27 percent less likely to be hospitalized for complications from their disease. 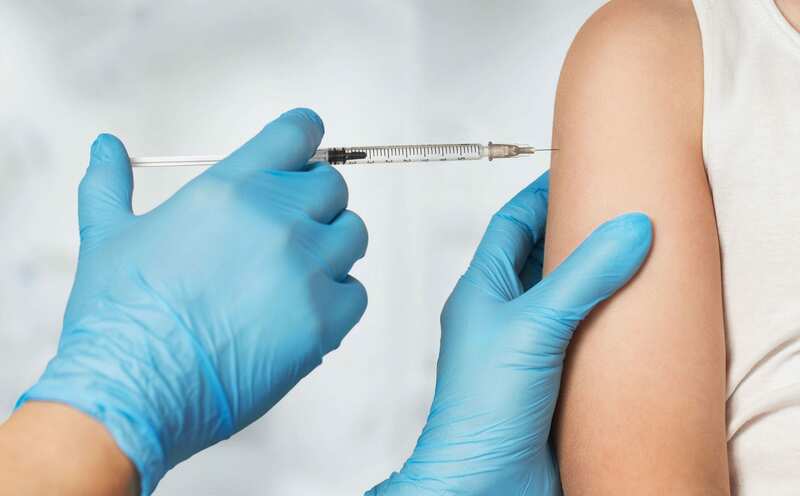 “Even if the vaccine does not prevent the flu, we know that the infection is less severe and there are fewer complications, including cardiovascular events,” Dr. Chaudhry says. Everyone over the age of six months should get the flu vaccine, according to the Centers for Disease Control. If you haven’t gotten yours, talk to your primary care provider or click here for a list of locations near you where the vaccine is being offered. For more information on the Hartford HealthCare Heart & Vascular Institute, click here.